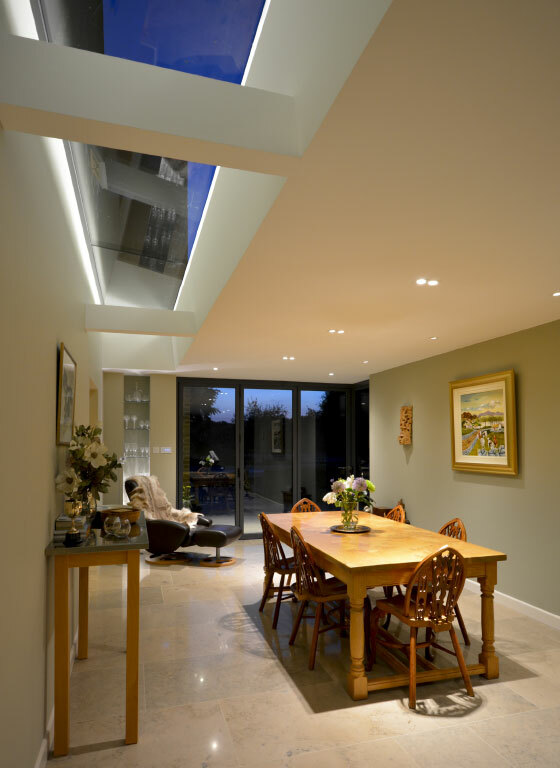 Modern rear extension in the Green Belt and AONB to create a new dining and sitting space linked to the garden. 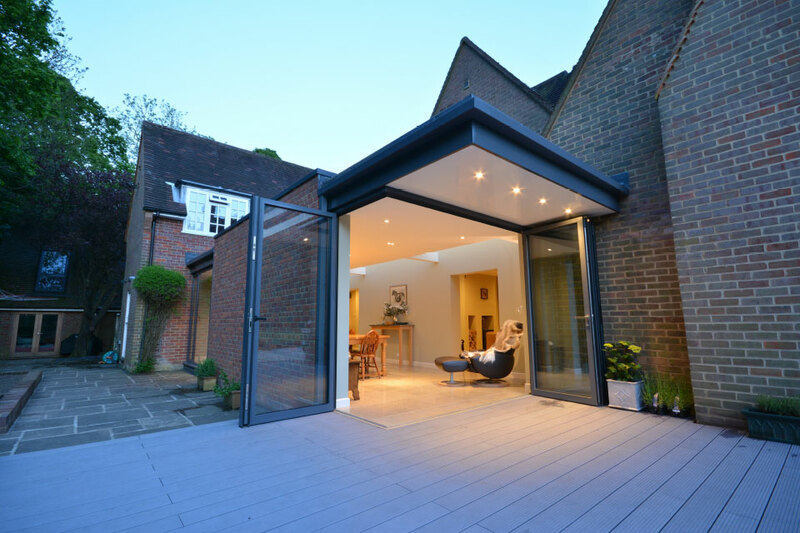 The property had previously been extended beyond what would normally be permissible by Planning Policy so we made use of Permitted Develop Rights to gain permission for the additional space required. 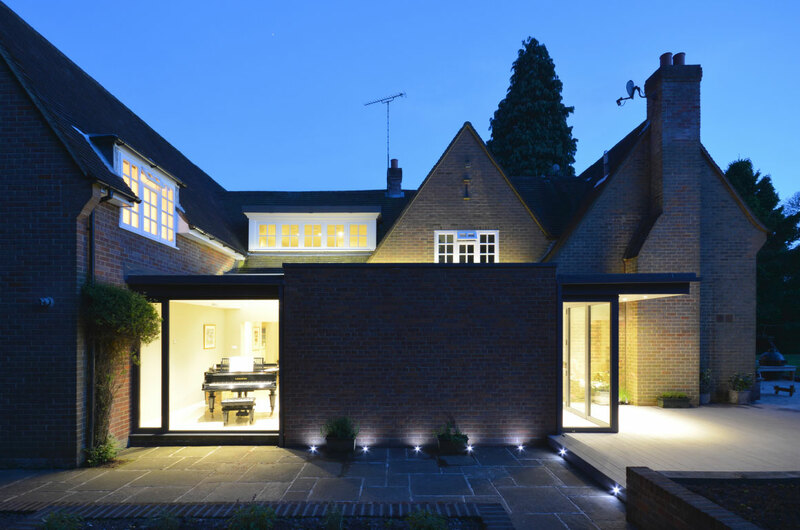 The design concept was to create a new aluminium and glass enclosure between the existing house and a new brick built ‘garden wall’ and a strip of rooflights provide natural light to the main house and visually separate old from new. 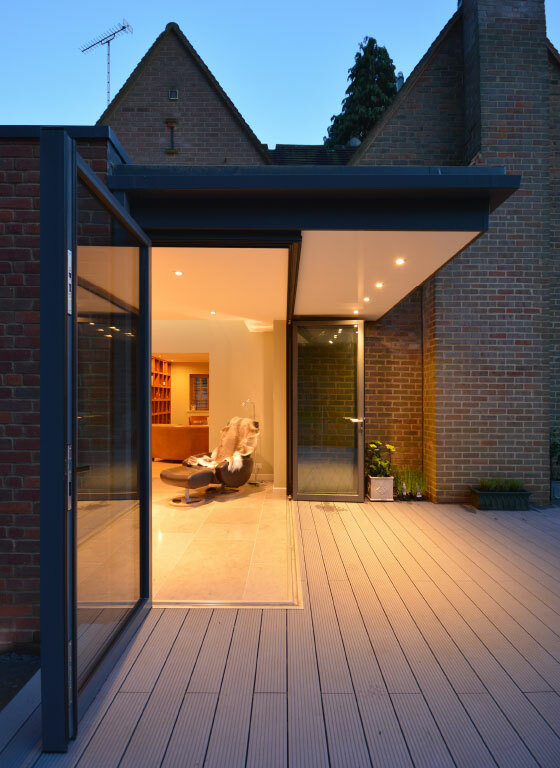 Bi-fold doors connect the new room with the rear terrace and garden beyond and the cantilevered roof creates an open corner when the doors are open.